I've become more and more obsessed with lip products lately. I'm not too 'wild' when it comes to colour choice, I know what suits me and I like to stick to that colour palette. 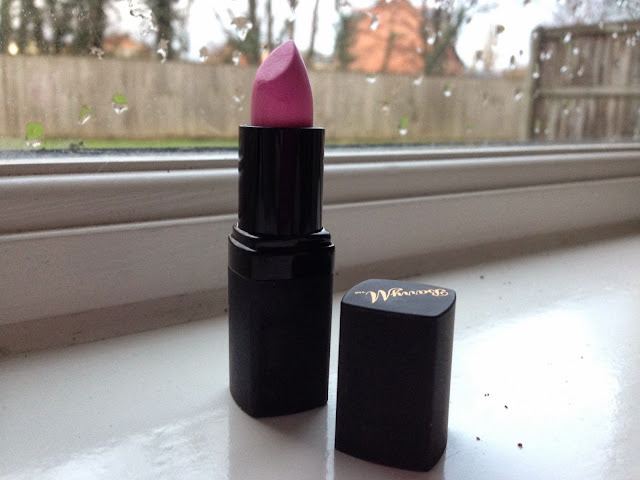 My go-to colours are true pinks, a good baby pink is certainly my fave but anything resembling Barbie pink is probably going to end up in my make up bag at some point. I picked up the Barry M Lip Paint in 100 (£4.49) a few weeks back, the colour is perfect for me and I had such high hopes for this lippy. Unfortunately I was really disappointed. There is something about this lipstick that reminds me of face paint. The texture is just all wrong and it kind of has that weird synthetic scent that I don't really want on my skin. It's a really thick texture and for me, just looks weird on my lips. I can't get an even coverage and find it clings to every crease in my lips - not good. However, after sulking over the Barry M mishap I moved swiftly back to trusty MUA and popped two of the Matte Lipsticks in my basket. At £1 each they are over a quarter cheaper than the Barry M Lip Paints and in my opinion are far better quality. The coverage isn't as thick as the Barry M, but I really don't have a problem with having to apply an extra layer. 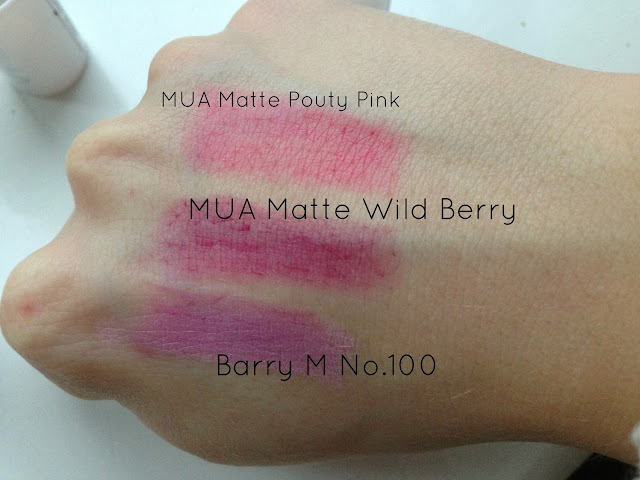 The matte texture is surprisingly nice and doesn't feel 'crispy' or drying on my lips, which is a major plus for me. 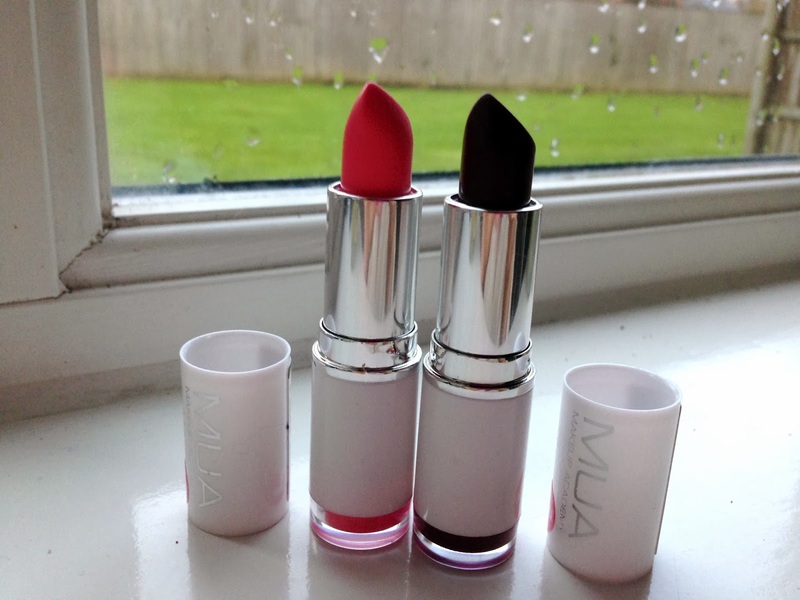 I'm not sure what other colours MUA do in the Matte lipsticks but I'm certainly popping back to Superdrug to find out. 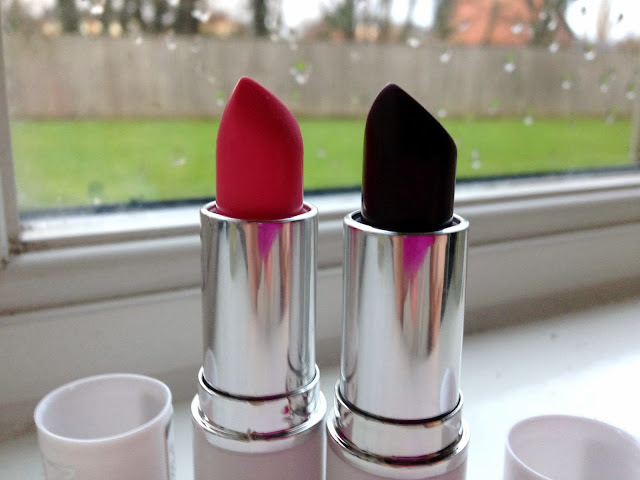 Have you tried either of these lipsticks? Ohh wild berry looks super pretty! I've never been a huge fan of Barry M lipsticks, I do have a soft spot for their glosses though! I haven't tried any of the Barry M or the MUA lipsticks but after this I might need to pick up some MUA, am a typical Rimmel lipstick kind of gal and looking for a cheaper alternative.